 There is a secret digital war happening all around us. The Enlightened and the Resistance battle for control of hidden portals scattered throughout our cities and neighborhoods. At times, the fighting can be fierce with rhetoric from both sides heated as hackers vie for control. This is not a battle between secret nationalist hacker armies and the U.S. Central Intelligence Agency. This is Ingress, the augmented/alternate reality game from Google’s clandestine Niantic Labs. And, if you are going to Google I/O later this month, you will soon be able to play, too. Ingress has been in closed beta since it rolled out to its first wave of users in late 2012. Google is now extending invites to the game to all registered attendees of its developers’ conference later this month in San Francisco and encouraging participants to sign in and test the game out before the conference. If you are not familiar with Ingress, the rules are pretty simple. When you sign up you are asked to pick the Enlightenment or Resistance. From a practical purpose, it does not really matter what side you pick except for the color of your side in the game (green for Enlightenment, blue for Resistance). 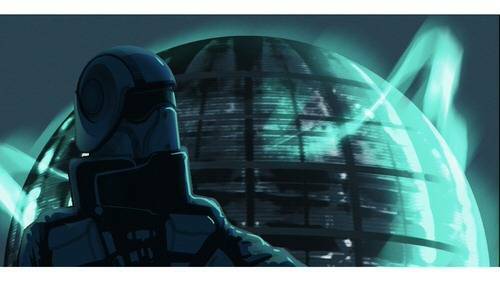 Which side you choose depends on your stance on the dangers or potential of the game’s primary currency – Exotic Matter (XM). XM can be collected by moving around the physical world with your smartphone and spent to “hack” portals for your side. For instance, if I am in my neighborhood in Cambridge, Massachusetts, I can find a portal (which are usually landmarks, public buildings or other significant areas) and hack it with my smartphone using XM (and other various tools found in the game) and take control of it for my side. In my neighborhood, the closest portal is a post office. The game is kind of like an alternate reality massive-multiplayer online game played through your smartphone using the real world as your map. 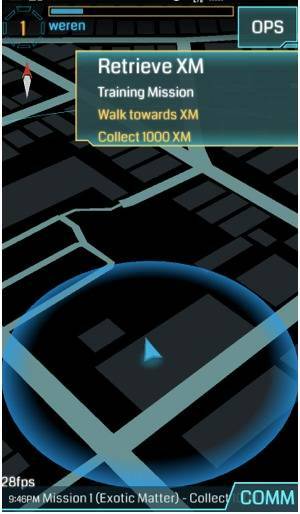 When ReadWrite reviewed Ingress in November 2012, we thought that the game (from a conceptual level) had a chance to reinvent what mobile gaming could look like in the coming years. Google probably thinks so too as it rolls out invites to all the developers attending I/O. Google will be hosting two Ingress games during I/O. On Tuesday, May 14th the first floor of the Moscone West will be the stage for an Ingress battle from 4 to 6 p.m (all times PDT). The next day an Ingress battle is scheduled to break out at the I/O After Hours Party at Moscone West on the third floor between 7 and 10 p.m.
A “major Ingress-wide game event” will take place in San Francisco on Thursday, May 16th from 7 to 9 p.m. This event will be open to non-Google I/O conference attendees. Google will also have a developer session during the conference at 3:30 p.m. on May 15th. Ingress is a bit of a curiosity. Only a handful of people have had access to the game to this point as Google has used its classic invitation-only method for rolling out the game. Ingress also has its own kind of underground, conspiracy theory marketing plan where the people from Niantic Labs come up with crazy storylines about fictional characters and their nefarious dealings. The plot line of Ingress is shrouded in mystery and heavily invested in the real world, but it is definitely an “alternate” version of reality. By rolling out Ingress to developers at I/O, Google hopes to show how mobile, location, multi-player and augmented reality functions can be integrated into developer application offerings. In that way, Ingress becomes a kind of “how-to” template to developers looking to create vibrant new offerings for Android games and apps, something that could benefit Google in a variety of ways. Google’s two most high profile projects could directly benefit from the features and functions found in Ingress. Google Now is Google’s future of search feature and provides semantic information to users by aggregating their data from search queries, Android location data and interests. Users are sent “cards” as notifications on their smartphones such as the scores of their favorite sports teams, weather or how long it will take them to get home from their current location. Google could easily add Ingress updates to Now while also using the location and activity data to better target ads to people. Ingress also seems like a game tailor-made for Google Glass, the company’s new augmented reality goggles. An application layer could be added to Glass that shows players where portals and other players are, allowing them to interact with the Ingress world from their field of vision. 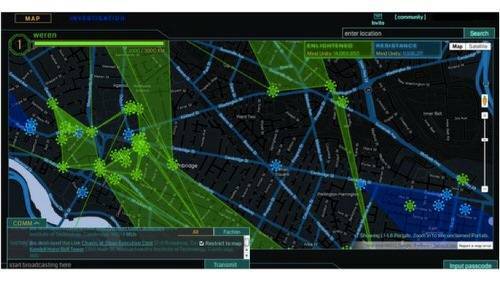 It behooves Google to show off the capabilities of Ingress to developers. Ingress is much more than a game, it is a map for developers and points to the future of Android. The way in which Ingress players interact with the real world could be a boon a variety of Google services and app developers. With Ingress, Google is showing people the way.